The terms beer, lager, ale and bitter are often confused. 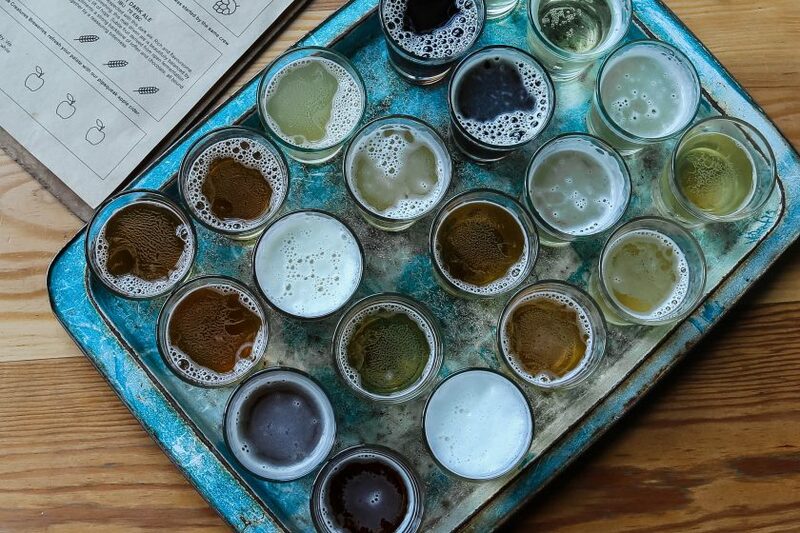 To understand what they actually mean and how varieties of beer differ from one another, our cellar team describe how beer is produced and the ingredients used. Water is the main component of beer. It naturally contains dissolved salts that can affect a beer’s flavour: soft London water makes good stouts and the sulphur-rich waters of Burton upon Trent are ideal for bitters. The usual grain for brewing is malted barley. Malting involves allowing the grain to just begin germinating, starting the process of converting the starch into sugar. Heat halts germination, so by changing the temperature and duration of the heat, a maltster can produce light malts, medium-dark malts with caramel flavour, or dark roasted malts. Other grains can be used, such as wheat, oats, rye or rice. Varying the grains and malts used will alter the colour and flavour of the finished beer. Yeast is a single-celled organism that converts sugar to ethanol and carbon dioxide gas. In real ale, this fermentation is the only source of gas in the beer. The strain of yeast used can also influence the beer’s flavour profile, and many breweries will guard their particular strain of yeast carefully. Hops are the flowers of a climbing plant and are used in almost all beers made today. They provide both bitterness and flavour. 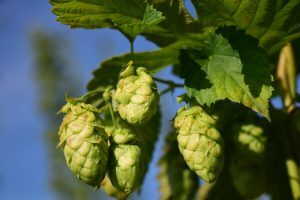 There are dozens of varieties of hops and the way they are used contributes to the beer’s flavour. What is the difference between ale, beer and lager? These days, beer is any ale or lager. In the past, ale meant a brew without hops, and beer one with hops. Now that hops are almost universal, ale generally refers to beer produced by top fermentation. This is fermentation with a yeast that floats on top of the liquid, at temperatures up to 22°C – this creates a rich variety of flavours. After primary fermentation the ale undergoes a slow secondary fermentation. As it matures, the beer develops its flavour and a light natural carbonation. Real ale is a beer brewed from traditional ingredients (malted barley, hops water and yeast), matured by secondary fermentation in the container from which it is dispensed, and served without the use of extraneous carbon dioxide gas. Real ale should be served at cellar temperature (11–14°C), so the flavour of the beer can be best appreciated. You can recognise real ale in a pub as it is usually served using a handpump, although a number of pubs sell the beer straight from the cask using nothing but gravity – as at this festival. Real ale is also known as cask conditioned beer, real cask ale, real beer and naturally conditioned beer. The term real ale and the above definition were coined by CAMRA in the early 1970s. Real ale can also now be served from a KeyKeg. This is a type of keg where the gas used to dispense the beer doesn’t come into contact with the beer. If the beer inside the keg is unpasteurised and unfiltered, then it is real ale. There is no definition of craft beer. Generally it implies a beer from a smaller brewery with emphasis on flavour, rather than a bland mass-market product. Craft beer has its origins in the US microbrewery world – our foreign beer bar has some fine examples from that side of the Atlantic. Many real ales are craft beer. What are bitter, mild, stout and porter? Ale style beers can be broken down further into various styles. Find out more on our introduction to British beer styles.